Odds are decent that if you've stumbled over this page, you're probably wondering how one even gets started purchasing an entire bovine, taking it back to your house, and making meals out of it for a prolonged period of time. Hopefully, these pages will help you start off on the right foot. First things first -- if you eat beef, buying an entire grass fed steer is an economical and conscientious way to make the most of mealtime. In addition, buying directly from a rancher supports small businesses and strengthens communities. The steer is purchased from a local rancher, the carcass prepared by a local butcher, and then brought directly to your freezer (in your own car, truck, rickshaw or zeppelin) with a minimum of middlemen. Cattle raised on grass have a significantly different environmental footprint than do cattle raised on grain in conventional feedlots. Grass fed, grass finished cattle don’t rely on fertilizer-intensive feed corn – with its attendant petroleum-fueled harvesting and shipping – or any of the problems associated with large-scale feedlots. Further, the animals are almost certainly free of unnecessary antibiotics, steroids, and additional hormones. If in doubt, ask your rancher. From a culinary perspective, grass fed beef has a different fat and flavor profile than grain fed. It has less intramuscular fat than grain fed beef, and a better omega 6/omega 3 ratio than its grain fed counterparts. In addition, many think grass fed beef has a stronger beef flavor than grain fed. Some compare grass fed beef to wine, asserting that its flavor is affected by what the animal ate and where it lived. Grass fed beef tastes like where it came from. For these reasons and more, many people deciding to buy an entire beef opt for one that is grass fed, and grass finished. Go here: eatwild.com. They have a wonderful directory of grass fed meat and dairy – not to mention chickens, eggs, goats, pork, elk, and more – organized by state. Find someone you like, local to you. Keep in mind that beef is a seasonal product. If you purchase a whole steer, it will likely be available late spring or early summer. In addition, it’s entirely possible for a rancher to sell out. There are only so many cattle in a herd. 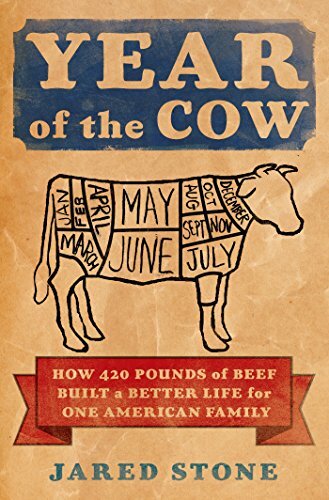 Be aware that a whole steer provides a lot of beef – probably somewhere in the neighborhood of 400 to 500 pounds. Many (most) ranchers don’t have the ability to deliver or ship that much beef, so be prepared to pick it up. For reference, one steer cut, wrapped, and packaged filled my mid-sized hatchback sedan with the back seats down, still leaving room for two adults, a large camera, a complete sound kit, a bag of nectarines, and a frozen chicken. The beef will likely be flash frozen and tightly packaged to minimize heat loss, so chance of it unintentionally thawing on the ride home are slim. Still, don’t tempt fate. If you have a long drive, throw a blanket over the boxes and turn on the air. Freezer – you’ll need one. Something in the neighborhood of 14.7 cubic feet should suit your whole beef needs beautifully. It goes without saying that you should make sure your freezer is plugged into a reliable power source. Also, many models have a visual indicator on the front or top to indicate that the freezer is on – this is clutch. When you’re storing several thousand dollars worth of beef, it’s nice to be able to tell at a glance that the freezer is still on and working and not ruining hundreds of meals. So now you have a freezer full of grass fed beef. What’s next? Know your primals. Start with the chuck. Keep reading for more.